Start February with some new pokie action at Fair Go Casino! Redeem the coupon code PIGWIN-100 to claim a 100% match bonus with 30 added free spins for the new Pig Winner pokie. 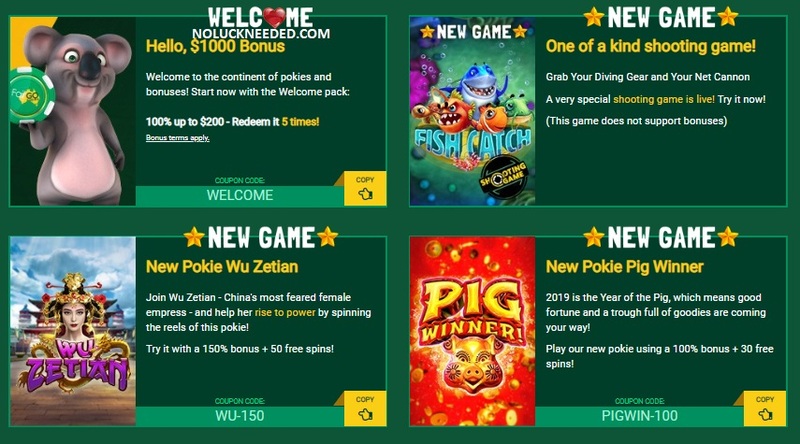 Please share your Pig Winner pokie reviews after you play. Good luck! Free spins featuring game is Wu Zetian | The minimum deposit amount varies for the match bonuses | No maximum cashout is applied to deposit bonuses | Wagering is 30x bonus + deposit | Note the max bet rule | General terms apply. Claim your New Pokie Free Spins and Bonus Codes at Fair Go Casino! You can also try PIG WINNER with 15 free spins until 6 February.